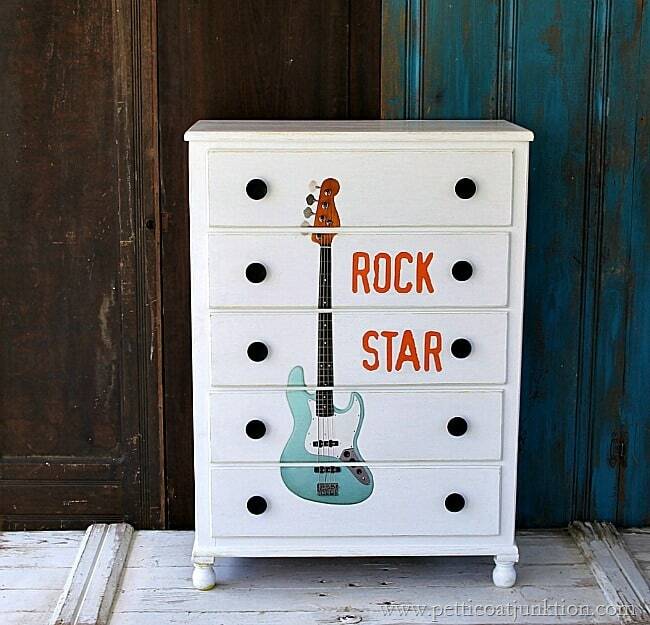 How To Give Furniture The Rock Star Treatment ! 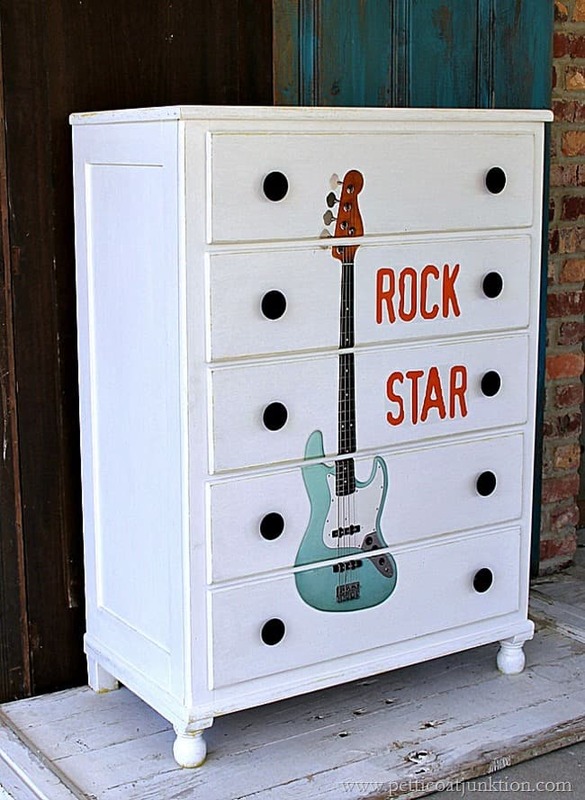 This piece of furniture got the Rock Star treatment….. The theme of the month is “words” or “letters” and each blogger interprets the theme in their own style. I love my little Rock Star! 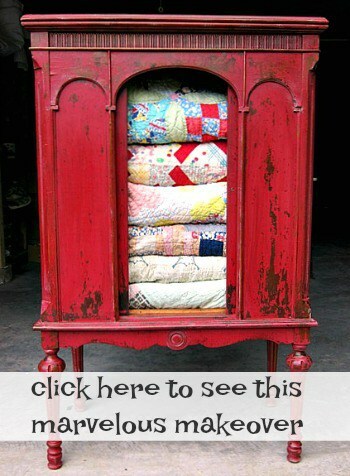 …..came from my favorite junk shop just like this. The price was great although I can’t remember exactly what it was. 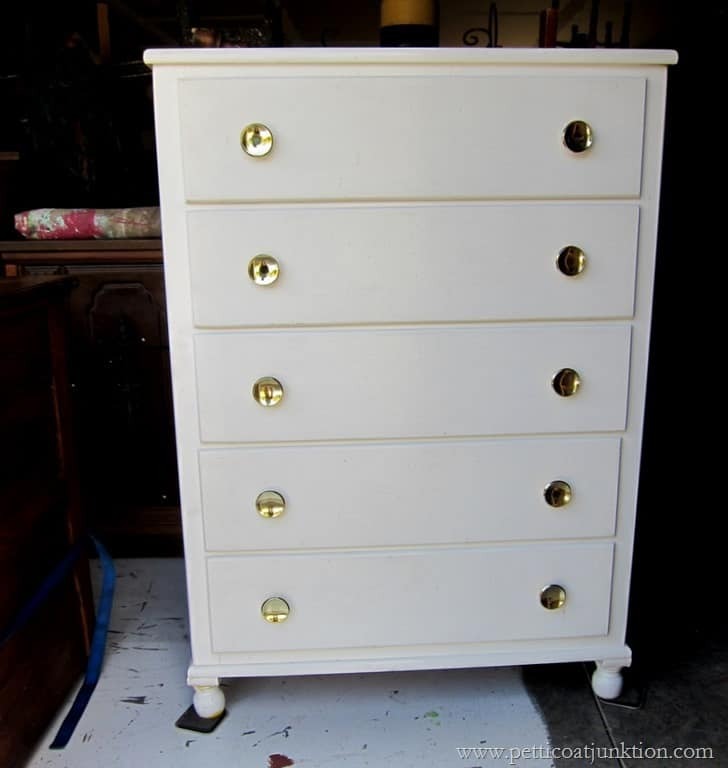 I knew when I purchased the chest that I would leave it painted white but do something about the knobs and maybe do some distressing. Then I had the Rock Star brainstorm. I removed all those shiny brass knobs and gave them a coat of flat black spray paint. I used flat black because I didn’t want shiny knobs to take the focus off of the “Rock Star”. I purchased the peel and stick décor decal at Hobby Lobby. Ya’ll didn’t think I painted that thing on there did you…..seriously. The decals were all on sale for 66% off. This one cost less than $10. I distressed the edges of the drawers and chest casing. 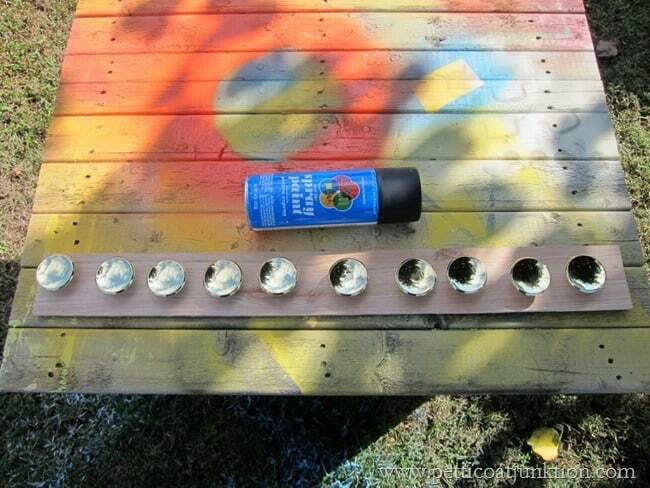 Underneath the white paint is yellow paint. You can just see it peeking through a little. I positioned the decals the way I thought they looked best. Then I cut the guitar decal so it would fit only on the drawers. This was the tricky part. I stuck the decals on and they worked great except on the edges where I curved the decal over the top and bottom of each drawer. The decal adhered fine on the flat surface but I added a little glue to the top and bottom edges of the decal on each drawer so the edges would lay down. They kept wanting to pop up on me. 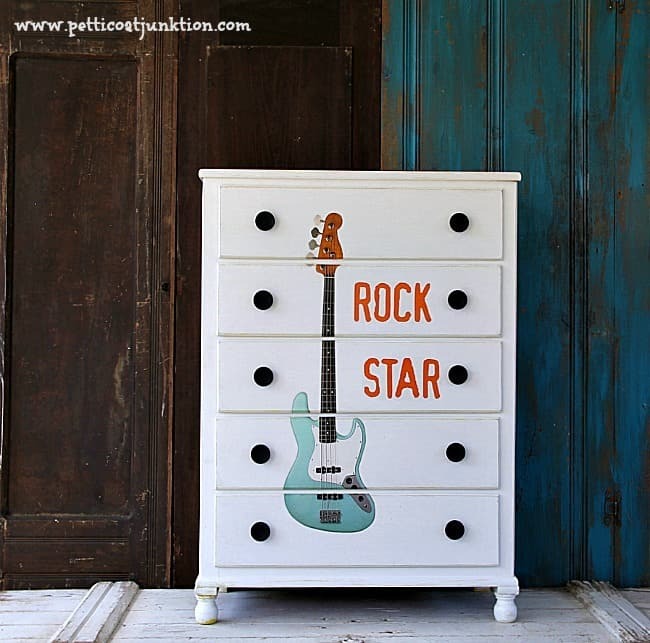 The flat black knobs work really well and the white dresser with the knobs looked awesome before I put the rock star decal on it. 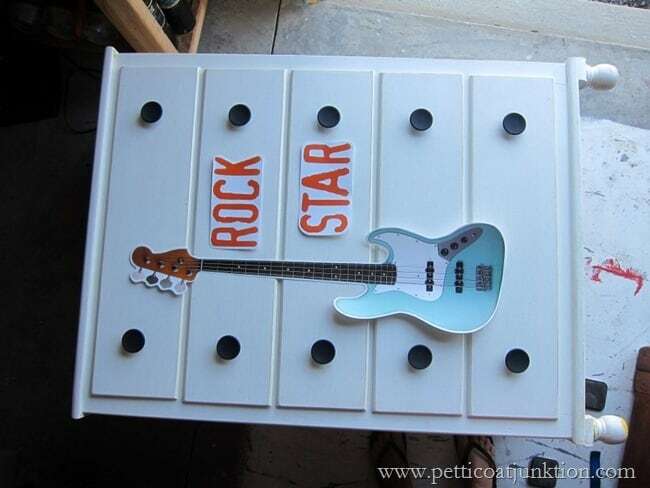 Is this piece a Rock Star? I share things on Facebook, Instagram, and Pinterest that don’t show up on the blog. 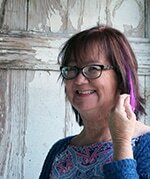 You can follow me by clicking any of those pink links! I just love this project! Thank you so much for linking up at Redouxinteriors, featuring tomorrow! Oh my, Kathy – you ARE a rockstar! I totally thought you painted that guitar and vinyl in that size at Hobby Lobby? I’m thinking I need to plan a trip over there tomorrow just to go check it out (along with a list of about 50 other beauties!) Have a great week! That…is…awesome Kathy!!!! Really, out of the park great! Kathy you never cease to amaze me. What a creative idea- I know there’s a rocker out there who will absolutely love this! Such a cool piece. Love it with my whole heart! Such a fun piece!! What a fun and creative way to make a rockin’ dressier 🙂 Great job, Kathy-as usual!! 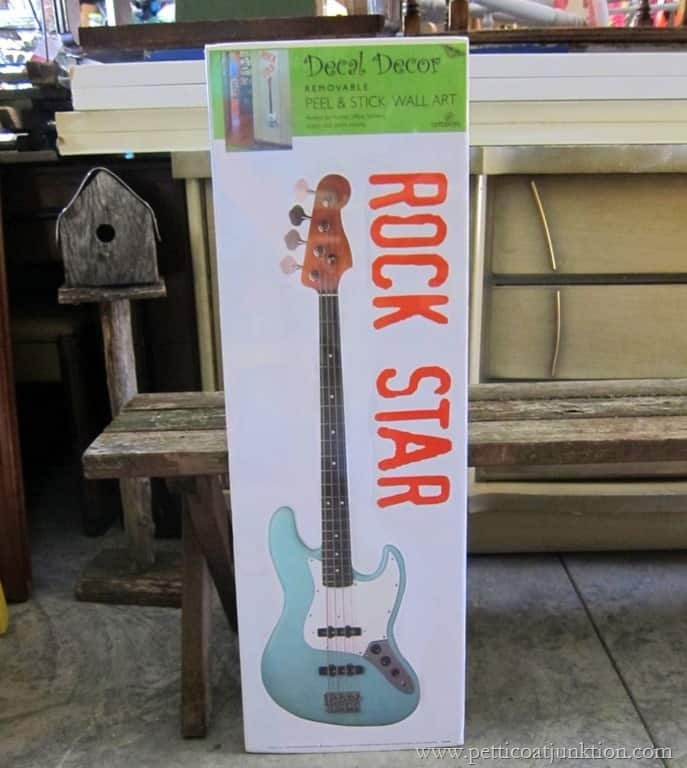 At first glance I thought you hand painted the guitar on and I was going to be SO impressed! haha. But it’s still amazing 🙂 So creative! Kathy girl, you are a rock star! And so it that hot dresser! What a cool, creative way give it a big personality. Love it! Amazing! I love this decal with the white paint and I’ll bet you’ll sell it very quickly. This is a fun makeover! Oh wow, it totally is! I did think you painted it, ha way easier! Kathy, that is freakin awesome..and YES I thought you painted it on! You rocked (pun intended) this one Kathy! 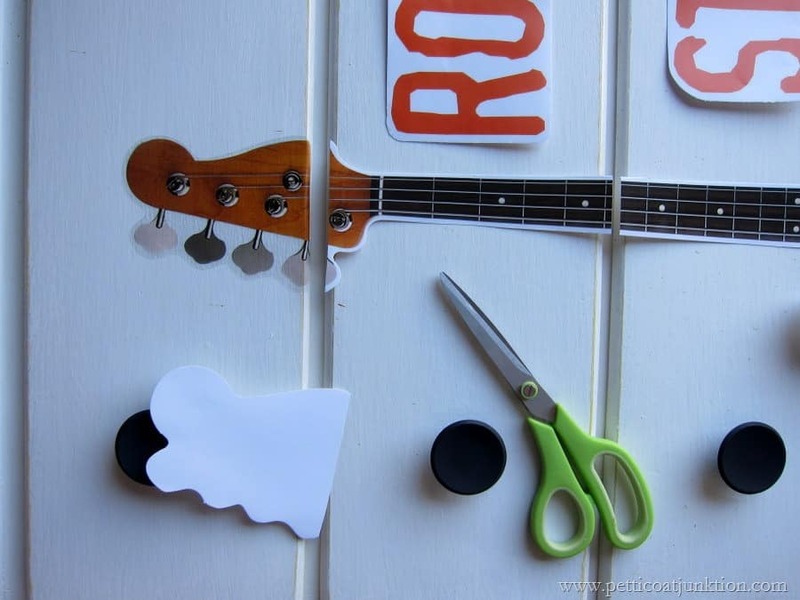 And yes, I did think you painted the guitar and letters until I read further. 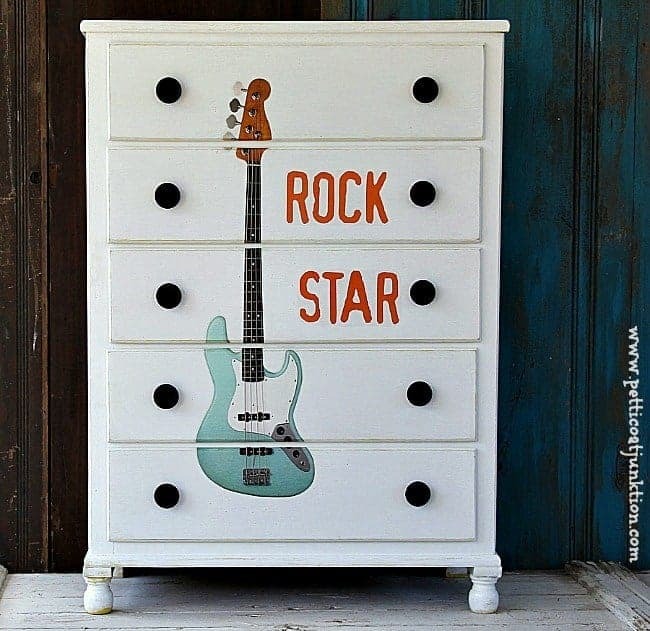 Love what you did with this dresser! What a great idea Kathy! This looks awesome!!!! LOVE this Kathy!! Rock on girl!! Love the white chest with the decal. Also the feed sack chair is a must have! Need to visit my feed store soon. Thanks for all blogs.